We’re only six games into October, but the summer shopping of Chicago GM Stan Bowman is already making a clear impact on the team’s play. Looking around the roster, there is much better chemistry and production coming already this year than the team had in October last season. 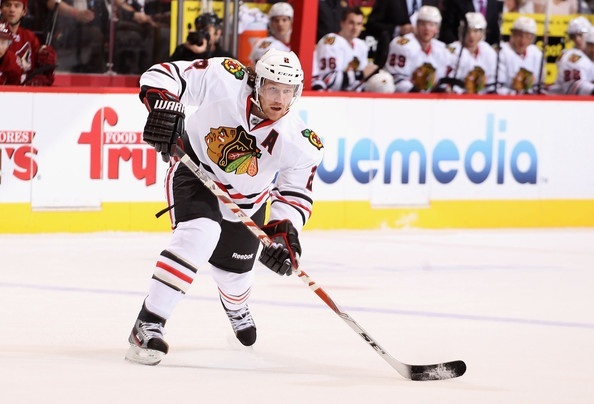 The biggest difference can be seen on the Blackhawks’ blue line. Last year, the month of October was quickly became a worst-case scenario for the Blackhawks coaches. Brian Campbell went down with a knee injury during training camp, and the entire rotation was sent down the tubes. Suddenly Nick Boynton was getting major minutes, and Nick Leddy was at the United Center instead of starting his sophomore year of college. Obviously the talent and ability on the ice is overwhelmingly better this year. The common denominator between last October and this year is that Campbell isn’t in the lineup. But the enormous difference is the confidence coach Joel Quenneville has in the pieces on his current roster. Those numbers, and the names of the players, almost made me choke. Boynton skated over 20 minutes per night in October last year, and Leddy was held to just 14 per night in the six games in which he saw action. Yes, these numbers are only through the first six games of the calendar, but there are a few striking realities. Obviously Quenneville feels significantly more comfortable with Montador and O’Donnell than he did with Cullimore, Leddy and Hendry last year. The ice time being given to the bottom pair so far is much more consistent. But the biggest difference between last year and this year has been the confidence Quenneville has shown in Leddy early on, and the youngster’s response to the playing time. Keith and Seabrook are both skating over three fewer minutes per game so far this year, a statistic that is not only leading to better numbers on the ice but will certainly pay dividends later in the season. The most striking improvement from last year is the penalty minutes being created by the Hawks defensemen. In October of last year, both Boynton (10) and Hjalmarsson (17) took major penalties early in the season that hurt the Blackhawks. This year, not one Blackhawks defenseman has drawn more than two minutes to date. Another improvement has been seen in the shots on goal. So far this season, the Hawks are allowing 28.2 shots on net per game, an average that ranks ninth in the NHL. Last year in October, the Blackhawks were 22nd in the NHL, allowing 32.5 shots per night. The Blackhawks are also blocking almost a full shot per game this season so far (14.7) than they averaged over 82 games last year (13.9). Overall, the play of the Blackhawks defensemen has been very good to begin this season. There have been a few rough spots that will eventually get worked out with increased on-ice chemistry, but the ability for Quenneville to skate six d-men regular minutes with confidence has made a major impact on the good start of the Blackhawks. To be honest, the only one who scares me thus far is Keith…he is still playing that herky-jerky, uncertain game from last year…. Brad, I agree Keith is no where near the same player from 2 years ago, but better than last year… O’Donnell has been dependable … but Montador is aweful (especially considering the contract…) he gets the puck and panics (when he is not falling down and turning it over for a break away! I agree with the last comment that O’Donnell and Montador gelled last night. I was at the game in Denver and they looked good together. 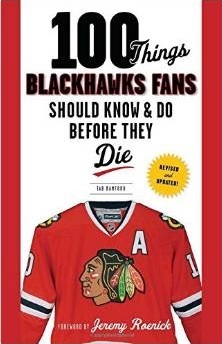 My only concern is tha Montador and O’Donnel are the Hawks two worst skating D men so I wonder if that pairing is going to cost the Hawks when they play a Detroit, Vancouver, San Jose, Washington, or Pittsburgh.